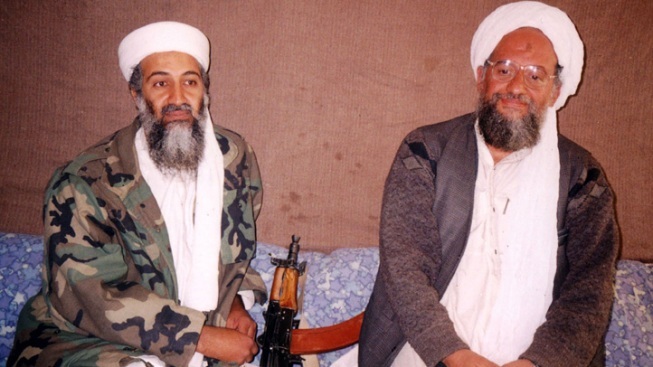 Osama bin Laden and heir apparent Ayman al-Zawahiri may be featured in new, twisted cartoons. Al Qaida's latest plan to radicalize little kids is a children's cartoon aimed at inspiring them to fight the west, according to experts who watch the terror network. Word of the cartoon was announced by a contributor calling himself Abu al-Laith al-Yemen on the password-protected Arabic-language al-Shumukh online discussion forum, according to British think tank Quilliam, which monitors militant websites. Al-Yemen said the terror group is in the final stages of creating a cartoon about al Qaida's Yemen-based branch. It would teach kids the history of al-Qaida and inspire them to become terrorists, Quilliam reported. "The cartoon movie 'Al-Qaida in the Arabian Peninsula' (AQAP) is a very exciting story that tells the facts about who let down the Islamic religion and the Prophet, and how the Arab leaders are agents of the West and other Islamic issues," Quilliam quoted al-Yemen as saying. Stills from the cartoon posted by the group showed masked figures executing captives. "This movie is a religious effort to educate our sons and youth about how to live a noble life under the shade of the Sharia," al-Yemen said. "It's an alternative to the poison that is broadcast by other TV channels broadcast to our children and youth," he said. Will McCants, an expert on militant Islam, is skeptical the cartoon will ever emerge, according to Reuters..
"But if it's legit and anywhere near like the purported screen shots and promotional banner, it would indicate that AQAP is becoming even more sophisticated in its efforts to reach out to youth," he said on the Jihadica.com website.